As an online merchant, there is nothing more frustrating than knowing that someone has made it all the way to checkout in your store and then they decide to walk away without pressing the buy button. There is a very simple tactic you can use to help reduce the number of people who get close to purchase and then disappear. We call it the "Cart Saver." Creating a Cart Saver only takes a couple of minutes in Privy. 1. Create a new campaign with a pop up display type. 3. Choose exit intent as your pop up trigger and decide how often you want to show a single user the pop up. We recommend no more than once a day as a starting point. 4. 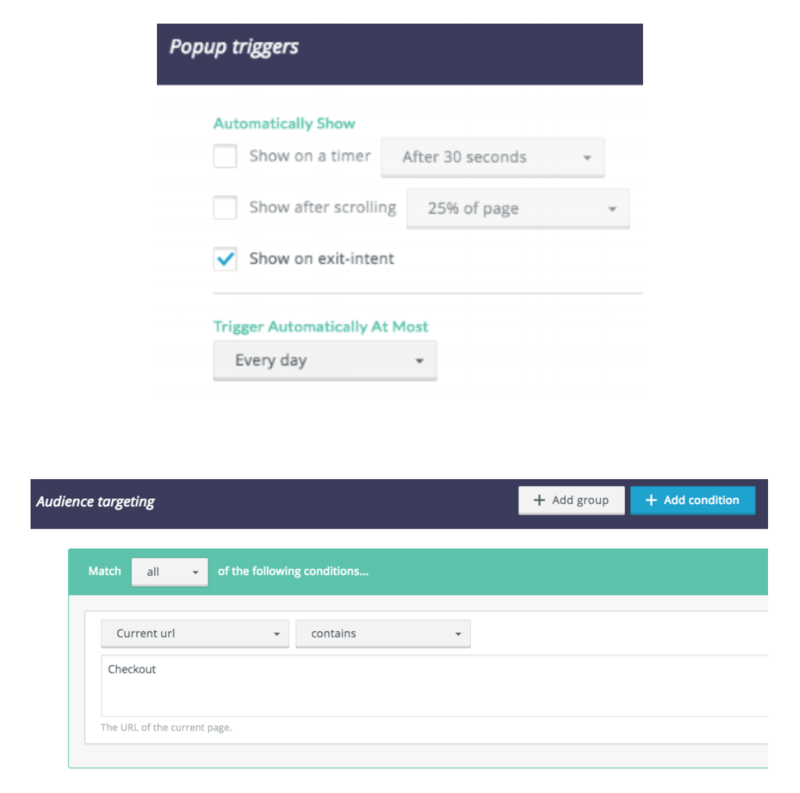 Set your audience targeting to show the campaign only when a visitor is on your checkout page. 5. 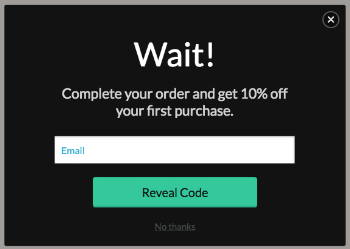 Add a Master Coupon Code or set of Unique Coupon Codes to your campaign. 6. Customize your thank you page so that it shows your coupon code and includes a button to complete the purchase. You can build awesome Cart Savers in any of our paid plans. If you're in our Commerce and higher plans, you can add "Cart Value Targeting" to offer something different for your highest value customers. 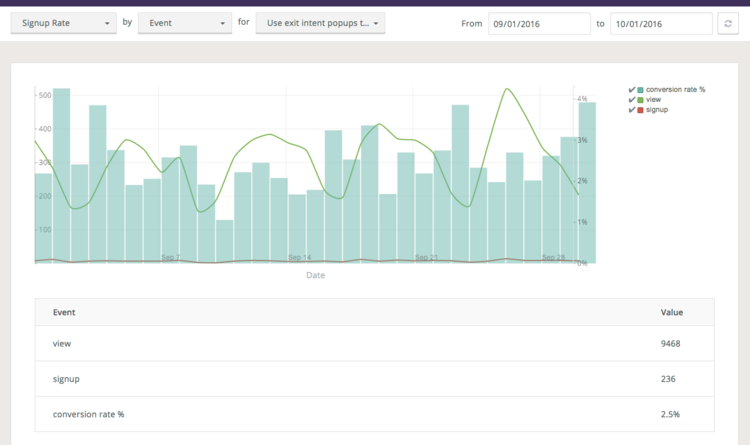 Using Privy Reports, you can see how many people have seen the cart saver, how many have signed up to get the code, and even how many have used the discount to checkout on your site. Slice and dice your data as much as you want and export it to use it in other programs.